Further, we see that God speaks finally and fully through Jesus. We have no other need for further revelation than that which is given to us in the Word and through the Son. The book of Hebrews sets the stage for our right understanding and perspective of who Jesus is. Namely, that he has ultimate supremacy and authority in all things. In fact, the writer of Hebrews states, “he upholds the universe by the word of his power.”  This distinction sets Jesus apart in all ways. The writer of Hebrews helps to reinforce this idea by placing a series of comparisons in front of us. The primary comparison is between the Son and angels. Clearly, we see that the Son is far superior and enjoys a personal relationship with the father. The theological implication of this comparison points the believer towards Jesus as the hero. At times our attention can focus on the servants or other angelic figures, but clearly we see that the only person of worth and honor is Jesus. Further, we see that God speaks finally and fully through Jesus. We have no other need for further revelation than that which is given to us in the Word and through the Son. Throughout the first few chapters of Hebrews we see clearly a distinction between past and the present till Jesus returns. The ESV study Bible points out these comparisons and states, “Four points of contrast occur between vv. 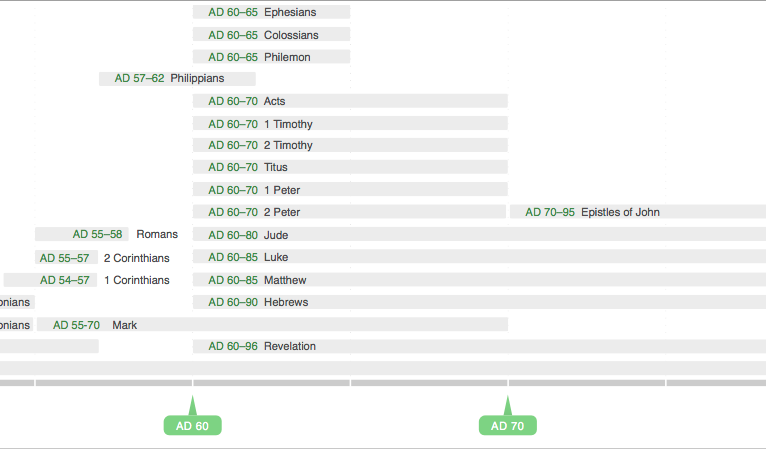 1 and 2: time of revelation (“long ago” vs. these last days); agent of revelation (“prophets” vs. Son); recipients of revelation (“fathers” vs. us); and, implicitly, the unity of the final revelation in the Son (cf. the “many times and in many ways”. The importance of the first chapters of Hebrews is paramount in our right perspective of Jesus. It sets the stage as Jesus being our source of hope, strength, substance, and salvation. While the tendency might be for us to get distracted by other biblical figures, the point is that Jesus in fact is better. There is direct application to the believer as we look at those in leadership of the church or ministries. It is easy for us to exalt and elevate ministry leaders into areas of authority, which at times can cause us to value them over Jesus. While this may not be intentional, it can easily happen. It is important that we consider Jesus in all that we do. Consider that Jesus is fully supreme and is the perfect example for all things. We can look to him for all our needs. In fact, the characteristics that we find compelling and helpful in ministry leaders are found perfect in Christ. Therefore, it benefits us to look to Christ for all things. He provides true satisfaction and is the perfect example and savior that humanity longs for. The Holy Bible: English Standard Version (Wheaton: Standard Bible Society, 2001), Heb 1:3. Craig S. Keener, The IVP Bible Background Commentary: New Testament (Downers Grove, IL: InterVarsity Press, 1993), Heb 1:1–2. Crossway Bibles, The ESV Study Bible (Wheaton, IL: Crossway Bibles, 2008), 2361. This entry was posted in Uncategorized and tagged book of Hebrews, Christ, Hebrews, Jesus, Supremacy by jmuddamalle. Bookmark the permalink.